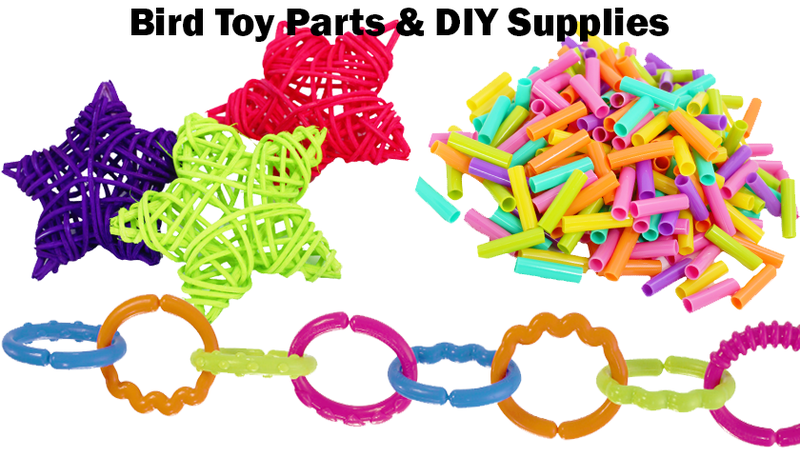 Bird toy parts and supplies make your own toys with this huge variety of bird safe craft parts. We have been making bird toys for many years and all are parts are bird toy approved safe.Make your own homemade Bird toys or Foot Toys Using our Huge Selection of Natural wood or FDA food dyed colored wood or Plastic bird toy parts and finish off with our Stainless steel or zinc free chrome plated Links and Chain Hardware parts. For the DIY (Do It Yourself) in you almost every bird owner has designed and made their own toy style and it is fun to re invent old toys.